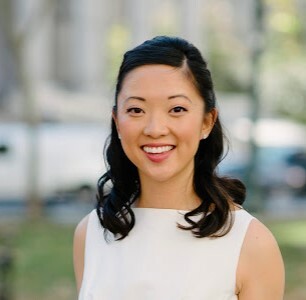 We sat down with Kate Yan to discuss her advice on succeeding as a health IT consultant. Here are some of her thoughts on how to grow and thrive in your role. My advice to a new health IT consultant would be simple: Be flexible and roll with the punches. At a company like Nordic, you’ll have a lot of say in the projects and locations that come your way – but instead of waiting for a “perfect fit,” I’d recommend being open to all new opportunities and embracing projects that will help you grow. During my time with Nordic, I’ve been lucky to be staffed on a lot of different projects, and I’ve learned and grown in areas that I never expected. For example, my experience from Epic was in OpTime Anesthesia, and I was originally much more comfortable in OpTime than Anesthesia. When Nordic offered me a project as an Anesthesia analyst, I was tentative, concerned that I would feel like less than an expert in my new role. But in fact, my Anesthesia role was one of the most formative of my career. I learned so much from my mentor that I eventually told my practice director I wanted to focus primarily on Anesthesia, and that opportunity led to others that helped me grow. On another project, I was assigned an area of OpTime that isn’t the most popular with analysts because it’s so challenging. Rather than shying away from the project, I took it on, and now I have expertise in hardware integration, which is relatively rare among people in my position. The most important thing to understand about consulting is that no one expects you to know 100 percent of the things you’re asked. Your job is to put in 100 percent effort to figure out the answer to those questions. No one wants a wrong answer from someone who’s pretending to know more than they do. They want a consultant who’s willing to ask questions, learn, and specialize in the areas that no one has figured out yet. Flexibility won’t just benefit you as you climb the career ladder, either. It also makes the job more fun and more rewarding long-term. Don’t settle for staying comfortable in your area of expertise and never pushing yourself to learn more. Instead, work with teammates who encourage you to think differently, and who say, “Instead of looking at the challenge this way, have you thought about it this way?” It opens your eyes to new possibilities and ways of thinking that will make your work much more satisfying. When you’re new to consulting, you’ve probably spent at least three years as an expert in one or two applications, and it can be scary to leave that expertise behind and plunge into something new. I say go for it. It’s scary, but it’s also freeing, and it can lead to job growth that you never imagined.